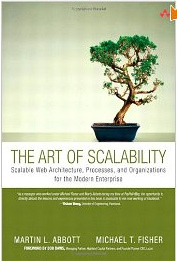 The Art of Scalability: Scalable Web Architecture, Processes, and Organizations for the Modern Enterprise—A must read for technical and business persons in your company, if you are looking to scale your business, whether you are a startup or Fortune 500. Scalability is widely used term, often, refers to scaling a specific technology—for most technical people. You must note that this is not a typical book on scaling the technology or language rather it focuses on people, processes and technology—most critical items for building a scalable business. Paraphrased from section, Books Organization and Structure—this book is divided into four parts: Part I, Staffing a Scalable Organization, focuses on organization, management, and leadership. Far too often, managers and leaders are promoted based on their talents within their area of expertise. Engineering leaders and managers, for example, are very often promoted based on their technical acumen and often aren’t given the time or resources to develop business, management, and leadership acumen. Although they might perform well in the architectural and technical aspects of scale, their expertise in organizational scale needs are often shallow or nonexistent. Our intent is to arm these managers and leaders with a foundation from which they can grow and prosper as managers and leaders. Part II, Building Processes for Scale, focuses on the processes that help hyper-growth companies scale their technical platforms. We cover topics ranging from technical issue resolution to crisis management. We also discuss processes meant for governing architectural decisions and principles to help companies scale their platforms. Part III, Architecting Scalable Solutions, focuses on the technical and architectural aspects of scale. We introduce proprietary models developed within our consulting and advisory practice of AKF Partners. These models help organizations think through their scalability needs and alternatives. Part IV, Solving Other Issues and Challenges, discusses emerging technologies such as grid computing and cloud computing. We also address some unique problems Introduction 5 within hyper-growth companies such as the immense growth and cost of data as well as what to consider when planning data centers and how to evolve your monitoring strategies to be closer to your customers. It is a great refresher and may practically serve as a bible for those who are in startup environments. A good read for every director, manager, executive, leader, technical architect, designer, and developer who is planning to implement a large scale, faster, reliable and low-cost internet applications. Overall, in 592 pages, Author’s have provided a comprehensive coverage of conceptual frameworks and technical details to build a scalable business.